IMA has written letter to Medical Council of India and Maharashtra Medical Council (copy attached) to call upon the Medi Angles –the 2nd Opinion Center based out at Navi Mumbai who has released their survey to one of the National Daily which has shown that over 44% of the surgeries were advised needlessly. They have released a data of 12,500 patients. IMA National President, Padma Awardee, Dr. A. Marthanda Pillai and Honorary Secretary General, Padma Awardee Dr K K Aggarwal in a joint statement said that if the findings of this survey are correct, it is a matter of national concern but if the findings of this survey are not correct, it will cause a great damage to “Doctor-Patient Relationship”. IMA officials said that as per the report, it looked that the 2nd opinion was given via Email Consultation. 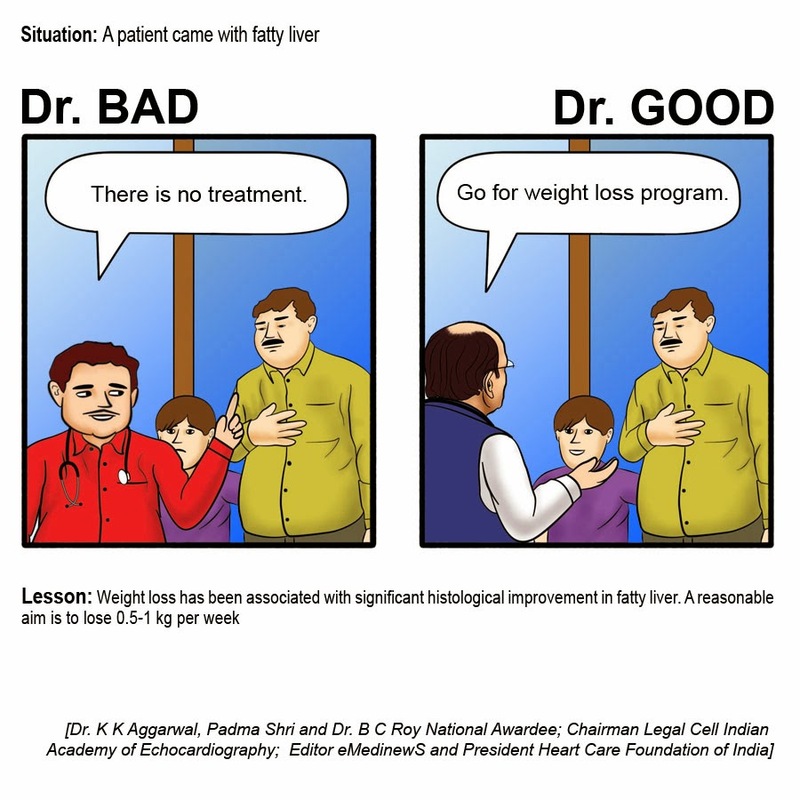 As per the IMA guidelines, difference of opinion is not negligence and 2nd opinion of a single doctor would only amount to difference of opinion. By IMA definition, the 2nd opinion is always a peer review which must have an opinion of 2 or 3 more doctors in consultation. Various Supreme Court Judgments have shown error judgments and difference of opinion is not a professional misconduct or negligence. IMA officials also said that as per MCI Guidelines, any survey which has a national impact should have been published in a reputed medical journal and/or presented in a medical conference before going to the media. New Delhi, Jan 6 (IANS) The Indian Medical Association (IMA) Tuesday expressed concern over a recent survey which showed that 44 percent of surgeries advised to patients by doctors were not needed. In a letter to the Medical Council of India and Maharashtra Medical Council, the IMA said: "If the findings of this survey are correct, it is a matter of national concern but if the findings of this survey are not correct, it will cause a great damage to doctor-patient relationship". The survey, with a data base of 12,500 patients, showed that over 44 percent of the surgeries were advised needlessly. According to IMA officials, the second opinions which the survey quoted were given via e-mail and as per IMA guidelines, difference of opinion is not negligence and second opinion of a single doctor would only amount to difference of opinion. "By IMA definition, the second opinion is always a peer review which must have an opinion of two or three more doctors in consultation," IMA national president A. Marthanda Pillai and honorary secretary general K. K. Aggarwal said in a joint statement. The Indian Medical Association (IMA) Tuesday expressed concern over a recent survey which showed that 44 percent of surgeries advised to patients by doctors were not needed. "Various Supreme Court judgments have shown error judgments and difference of opinion is not a professional misconduct or negligence," the statement said. • In a small long-term study, obese patients who had gastric bypass surgery were half as likely to die as those who didn't have the surgery. The study is published online in the American Journal of Surgery. • A new type of magnetic resonance imaging appears to be measurably better at spotting prostate cancer tumors than the current method, suggest the results of a new study. Authors say the finding may also have significant implications for the treatment of prostate cancer. The study is published in the journal Prostate Cancer and Prostatic Diseases. • Topline results from a phase 2 study show that treatment with a novel oral antipsychotic, currently known as ALKS 3831, was as effective as treatment with the antipsychotic olanzapine with considerably lesser weight gain in patients with schizophrenia. • Older people with HIV have a weaker antibody response to influenza vaccine than their counterparts who are not infected with the virus, suggest new findings in women published in the Journal of Infectious Diseases. • A 50% dose of verteporfin is more effective than a 30% dose for photodynamic therapy of acute central serous chorioretinopathy, suggests new research published online in JAMA Ophthalmology. On the invitation received from MoHFW, along with Dr Ramesh Dutta, I attended the meeting on Rural Retention of medical Doctors at New Delhi chaired by Health Secretary, GoI. The MCI president was also present. • Incentive at the rate of 10% the marks obtained for each year in service in remote or difficult areas upto the maximum of 30% of the marks obtained in the entrance test for admission in PG medical courses. 2. Thereafter, a draft notification was approved by the Ministry in June 2013 to provide that one year rural posting at PHC will be mandatory for medical graduates for admission in PG courses from academic session 2015-16. However, due to agitation by doctors against the proposed amendment in the PG regulations, the MCI was requested to keep the amendment notification in abeyance for publication till further orders from the Ministry. • Whether the Central Govt. envisages a PG degree course of 3 years or 4 years including one year rural scheme after completion of MD/MS course or during the course. • Whether the programme for PG course incorporating the rural posting applies to both govt. & private medical colleges? • During the 1 year posting that is proposed to be incorporated into the PG course, which authority shall pay stipend to the doctors during their rural posting? • It was agreed that at the moment, Govt. will not go ahead in making rural posting compulsory during PG entrance examination. IMA said that they would oppose it if this happens. • MCI suggested that the Govt. may think of making one year rural training posting of pre and para clinical postings without increasing the duration of PG. • Doctors, who may like to work in Govt. area, may be given income tax exemption and high salary. • Local GPs may be given extra incentives to run a 2-hour OPD in these PHCs. • Doctors posted in these PHCs may be given one year diploma in rural medicine and surgery. The same was not accepted by the MCI. • A 2 years PG course may be started by DNB in rural medicine and surgery. Out of these 2 years, one year may be in the rural area and one year may be in a DNB-recognized hospital. As there was no representation from DNB, the same was not further discussed. • All district hospitals may be made teaching hospitals and internship & DNB programme may be started. The matter is under discussion. • Under the existing MCI Act, it is not legally possible to withhold the degree of a person for one year in the absence of completion of rural posting by him/her. So bond theory was not accepted. • Make PG entrance more difficult so that students are forced to go for rural posting for getting 10% extra marks. • Out of one lakh, only 6500 postings are without doctors. It is not that doctors do not want to go to rural areas. They do not want to go to these 6500 rural areas. • At any given time only 10% of the PHCs are without doctors. • In some states, incentives have been initiated by increasing the retirement age from 60 to 65 to post some specialists in rural areas. • In some states, hardship area allowances are given and salaries are upto 1.5 lakhs. • In one state, 10 lakh penalty bond has been kept in for not doing rural services after PG and Rs 18 crore was the revenue. So this is not a solution. • To have different fee structure, which means people who are ready to go for rural services will have a substantial subsidy in their PG educational fee by the Govt. But this was not again followed as the private medical colleges may not agree for the same. • IMA will call representatives of IMSA India and have a discussion in Delhi along with MOH officials. MOH said that have no budget. IMA will call representatives. They will come of their own. IMA will support stay and food. • Every year one lakh doctors appear in PG examination and only 25000 get admission. Remaining 75000 doctors at given a time start preparing for the PGs. • 10% extra marks in their PG entrance examinations, by the government. • IMA will make ensure that government provides them free accommodation and security in the PHCs. IMA presumes that as promised by the new Modi Govt., basic free drugs and investigations will be available in every PHC. Suggestions are invited. No final decision taken. Dr. Sandip Mukerjee receiving the Lifetime Achievement Award of the Association of Surgeons of India from the President of the Association at the Annual Conference held at Hyderabad. If mens rea is the basis on which a crime is established, IMA fails to understand the logic of bringing doctors under criminal jurisdiction. 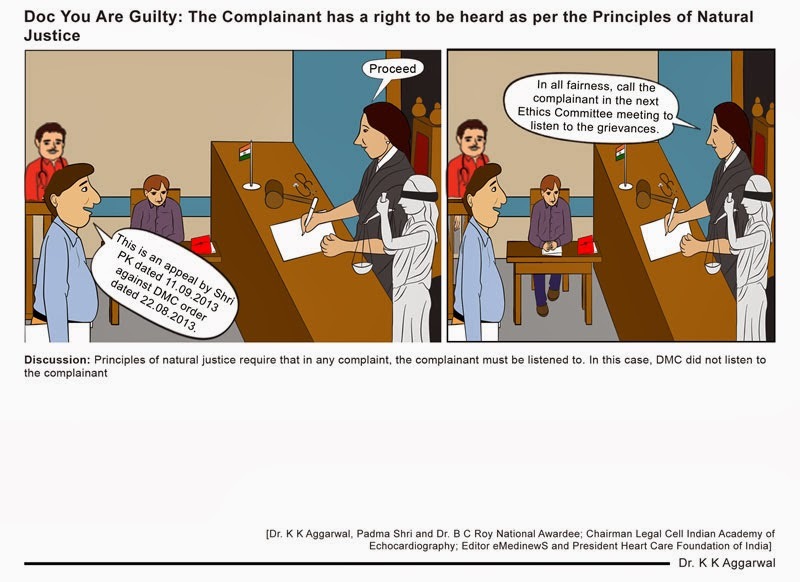 There is no criminal intention in any treatment. Cr PC 304 and 304 A should not be applied on medical and allied professionals. Hospitals are considered to be industries or commercial institutions for tax and regulation purposes. At the same time their services are expected to be in line with medical ethics and etiquette. This mismatch in law is the cause for the perception problem regarding hospitals. This has to be addressed urgently. Last but not the least is the Clinical Establishments Act. This single act will pave way to the disappearance of small and medium hospitals, with adverse impact on the accessibility and affordability of healthcare to our common citizens. IMA demands unequivocal revocation of this black law. The advantages envisioned from this legislation could easily be achieved through accreditation mechanisms by professional agencies themselves. IMA will take the lead role for putting in place a suitable mechanism for this to ensure standardisation in service provision and payment mechanisms. Efforts will be made to amend the provisions under the Consumer Protection Act for capping of compensation and enhancement of penalty amount for frivolous complaints. IMA will take every effort to bring in a uniform legislation at the national level for hospital protection. The minutes of 6th meeting of National Council for Clinical Establishments held under the Chairmanship of Dr. Jagdish Prasad, DGHS on 8th December 2014 at Nirman Bhawan, New Delhi. Dear Dr K K Aggarwal, Sharing with you an interesting incident for the benefit of medical fraternity. Two days back, late evening, two young men in their twenties walked into my clinic and wanted me to administer an injection that they were carrying. On my demanding a valid prescription, they said, we don't have one. They started arguing with me and said it's a harmless injection which is being given to us by our gym instructor. I told them to show that injection and to my surprise, it was injection testosterone. It became virtually impossible to refuse as at that late hour, I was alone in my clinic and very tactfully, I had to explain them about side effects of the injection to get out of the situation. It took me almost half hour to convince them. I thought this important to share with you for the benefit of masses. Regards and wishes, Dr. Ish Kathpalia. See what happens when an Ayurveda practices modern medicine, hold abdomen in place of whole abdomen. Just to be sure, he went around the block and passed the same spot, driving even more slowly, but again the camera flashed.Now he began to think that this was quite funny, so he drove even slower as he passed the area again, but the traffic camera again flashed. He tried a FOURTH TIME with the same result. He did this a FIFTH TIME and now was laughing when the camera flashed as he rolled past, this time at a snail’s pace. Two weeks later, he got FIVE tickets in the mail…for driving WITHOUT A SEAT BELT. • "First NGO and doctor to provide "hands on training" to 11543 people in "Hands Only CPR 10" in one day. • First individual doctor and NGO to provide "hands on training" to 8913 females in "Hands Only CPR 10" in one day. • Multivitamin tablets are not needed unless there is a scarcity of a particular vitamin. • If you include all seven colors and six tastes in your food, there is no need for vitamin supplementation. • Wheat grass and barley grass juice contain folic acid and vitamin B12. • Anything which is green contains vitamin B. • Anything which is red contains lycopene. • Citrus foods contain vitamin C.
• All dry fruits contain vitamin E.
• Sunlight is an excellent source of vitamin D.
• Carrots contain vitamin A. • Folic acid is lost if the food is boiled and the water is discarded. • Vitamin D is not absorbed if exposed to sunlight is through glass. • Vitamin D is not absorbed through clothes if you are fully-clothed in sunlight. Dear All A National Health Policy Draft has been released by the Government. The Ministry of Health & Family Welfare (MoHFW) is accepting inputs over a two-month window until 28 Feb 2015. Please discuss this Draft in your IMA Branch in detail and circulate your thoughts to IMA for wider discussions. Please consider this on priority as the policy once formulated will stay for atleast a few coming years. 1. Take inputs from all branches. 2. Take inputs from all state branches. 3. Discuss the same in national office bearers meeting. 4. Discuss the same in President and Secretaries meeting. 5. Take input from all past national presidents. 6. Take input from all national leaders forum. 7. Take input from general membership though e IMA news. 8. Call a meeting of all medical societies and take inputs. 9. Take inputs from AHPI, NATHEALTH, IMA HBI, all sate medical councils, MCI, NABH, and other stake holders. 10. A national level committee is being formed by the national president for a final draft. • The FDA has approved the IN.PACT Admiral drug-coated balloon for peripheral arterial disease in the superficial femoral artery and popliteal artery. • Early treatment with the aldosterone antagonist eplerenone plus an angiotensin-converting enzyme inhibitor (ACEI) or angiotensin-receptor blocker (ARB) slows the progression of cardiomyopathy in boys with Duchenne muscular dystrophy, reported a new randomized trial published in Lancet Neurology. A tiny ingestible sensor by Proteus Digital Health "is a game changer for medication compliance." The sensor, which costs less than a penny, is placed on a pill. It gets activated by stomach juices when it's ingested. A digital signal is then sent to a Band-Aid®–like monitor worn on the patient's arm. The sensor records when the medication is ingested, as well as the patient's heart rate, body temperature and position, and rest and activity patterns. The data are wirelessly transmitted to a smartphone app, which then sends it to a provider, caregiver, or family member. It started last fall when we had a beaver move in the small stream beside our house. He immediately began taking down small trees, and within a couple of weeks our small stream turned into a small pond. Every day he added more to his damn and to his house. With the stream now damned and his house built, we thought that would be the last of the beaver's busy activity as winter set in. But, to our amazement, he started chewing on a very large maple tree. And, we mean large. The tree is over 60 feet tall and is approximately five feet in diameter at the base. We were amazed at the challenge this beaver was attempting. Over the winter, he would come out and chew a bit more. He had setbacks as we faced major winter storms and freezing weather. We thought that he would never chew through this tree. But sure enough, when the weather allowed, he kept coming back and would chew a bit more. With spring finally arriving, we went down to see the beaver's progress and sure enough the tree was going to come down soon!! Our beaver has now almost completely chewed around and through the entire tree. Our point in sharing our beaver experience with you is to remind you that sometimes we have a goal to just survive, but we also need to set goals for tomorrow. And sometimes, just surviving seems to occupy all of our time - working every day, looking after our family, going to school, and so forth. But, if you do just a little bit when times allow, and keep focused on your future goal, you will achieve it. It is also vitally important that when faced with setbacks in achieving a goal, you need to stay focused and not let the setbacks discourage you. We know what it means to face setbacks along the way because we were once just like the beaver. We worked it seemed just for our survival, but we also had a future goal and we constantly kept moving forward to achieve that goal. Sometimes, though, weeks would pass before we could work on our goal again, and many times we had to deal with some sort of setback. While at times we felt we would never reach our goal, we never gave up and we never lost our focus. But, over more than 5 years, we did achieve our goal. • Prescribing 5 days of strict rest to a child following a concussion offers no significant benefits in terms of symptoms, neurocognition, or balance, suggests a randomized trial published online January 5 in Pediatrics. • A test developed by Dutch researchers has the potential to detect peripheral visual field defects in children who are too young or neurologically impaired to perform standard conventional perimetry (SCP), reported a large retrospective study published in JAMA Ophthalmology. One of the components of education is etiquettes or manners which can be at every level of education. In older era, Rajkumars or princes were sent to Gurukuls for formal education including that of warriorship. They were also sent to Gharanas/Kothas to learn tehzeeb the Lucknawi way where they were taught how to talk to each other and respect others. Their language in typically Lucknawi style used to be ‘we’ oriented and not ‘I’ oriented. Today’s education is more oriented towards ‘I-ness’ or ego and not towards the soul or respect. When we were students, we were taught that a senior is a senior and needs to be respected. Even today, when we meet our teachers, we take blessings by touching their feet but today’s students believe in shaking hands or saying ‘hi’. There is more and more commercial touch in the teacher-student relationship of today. Answer for yesterday’s Mind Teaser: 4.X-ray diffraction. Correct Answers received from: Dr. Rakesh Sharma Nohar, Dr Avtar Krishan. Answer for 7th Jan Dec Mind Teaser: 3.Gelfiltration chromatography. Correct Answers receives: Dr Rakesh Sharma Nohar, Dr Avtar Krishan, Dr. Poonam Chablani, Dr Jainendra Upadhyay. Addressing his first Press Conference, Padma Shri Awardee, Dr. A. Marthanda Pillai, National President, IMA said that under Aao Gaon Chalen Project of IMA, IMA will come out with a Model IMA Health Village in the coming year, which can be replicated at a national level, both by the Govt as well as NGOs including IMA branches. Explaining further, Dr. Pillai said that the Model Health Village will have all parameters met within a year as defined by Millennium Development Goals. The Conference was co-addressed by Padma Shri Awardee, Dr K K Aggarwal, Hony. Secretary General, IMA. In a joint statement, Dr. Pillai and Dr. Aggarwal said that IMA has written to all its 1700 branches to follow Hon’ble Prime Minister, Shri Narendra Modi’s initiative of Swachh Bharat, Swasth Bharat movement. The IMA officials feel that 20% of the disease burden can be reduced if all the doctors in our country are sensitized to have their medical establishments follow hygienic principles and they in turn motivate their patients to follow the principals of respiratory, food, water and hand hygiene. The IMA officials said that they have requested each of its 1700 branches in the country to nominate 9 Medical Icons of their area to lead this campaign in the coming year. IMA also showed concern about the inclusion of Cross pathy in the National Health Policy, which has been put by the MoHFW, Govt. of India on its website. Under this National Health Policy, the Govt is envisaging training AYUSH doctors for a limited period of time and allowing them to become midcare health providers. IMA holds the view that it is not against AYUSH as a branch taking the front position and wants AYUSH to progress in their respective fields. However, IMA is against AYUSH doctors practicing modern system of medicine, as it will cause more harm than benefit to the patients. IMA has already taken opinion of Joint Commission International (JCI) & National Accreditation Board for Hospitals (NABH) and is of the view that Indian Hospitals will never be able to provide quality and safe service to patients if half-baked AYUSH doctors are allowed to practice modern system of medicine. If the Govt. goes ahead in this venture, it is a possibility that the JCI and NABH may not give accreditation to most of the hospitals, which may affect medical tourism in the country. IMA, on the other hand, welcomes the Govt. move of making healthcare as a Fundamental Right. However, IMA made a very strong statement that “Nobody in India should die of illness, which is preventable or just because he/she cannot afford it”. IMA in the statement also said that Govt. should also ensure their commitment of 5% of GDP as budgeted expenditure for their health care budget. IMA expressed concern about the Govt.’s recent reduction of health budget and its spectacle to increase the GDP from 2.5% to 5% may not actually happen. IMA’s statement is very clear of providing affordable and quality drugs to each and every person. Therefore, a public distribution system has to be in place, which IMA will support. Today we have 75,000 Resident Doctors who are waiting for their PG and there are only 6500 rural medical vacancies, which is less than 10% of the total vacancies. • A salary which is twice the normal salary as a hardship allowance. • A free decent accommodation at the PHCs. • Security and safety of the persons posted in the PHCs. • Free basic drugs and investigations, as promised by the Govt. under Universal Health coverage. IMA will issue them a one-year certificate of training in Rural Medicine, Rural Surgery and in Public Health, which can help them to upgrade their biodata. IMA is of the view that if no vehicle can run on the road without insurance, similarly, health insurance should be compulsory and the same should be provided by the Govt. for those who cannot afford it. Regarding medical education, IMA is of the view that the curriculum should be revised in every 7 years and IMA should a part of the revision process. Soft skills should be included in the curriculum. IMA wants 10% of the medical curriculum to include Mental Health & Bio Ethics. Regarding legal medicine, IMA is of the view that doctors should not come under CPA because this is a different profession. If doctors come under the purview of CPA, then they will have to be allowed to advertise, have marketing agents and do all activities, which will no more make this profession a noble one. ‘To err is human’ for this every doctor goes for indemnity insurance. But doctors want this compensation to be capped and IMA is of the opinion that a Medical Tribunal on the lines of CAT should be established by the Govt., which will take care of the responsibilities presently undertaken by MCI and CPA. IMA is also launching its Grievance Redressal & Mediation Cell, where patients will be able to approach IMA for their redressals. IMA will also launch many projects like Care of Elderly, Trauma Care, Waste Disposal, National Initiative for Safe & Sound against noise pollution and Reduction in maternal and infant mortality and Initiative for mental health. 6. In section 2 of the principal Act, for the words and figures “the Dangerous Drugs Act, 1930”, the words and figures “the Narcotic Drugs and Psychotropic Substances Act, 1985” shall be substituted.